NXT made its television debut this week, and has received a great deal of buzz. Currently, the brand is in the middle of a tournament to determine the No. 1 contender for Andrade “Cien” Almas’ NXT Championship, following Drew McIntyre’s injury at TakeOver: War Games. For their USA debut, fans were able to witness one of those qualifying matches, which pitted Aleister Black against Adam Cole. These matches will culminate with someone having the opportunity to face Almas at TakeOver: Philly on the eve of the Royal Rumble pay-per-view. 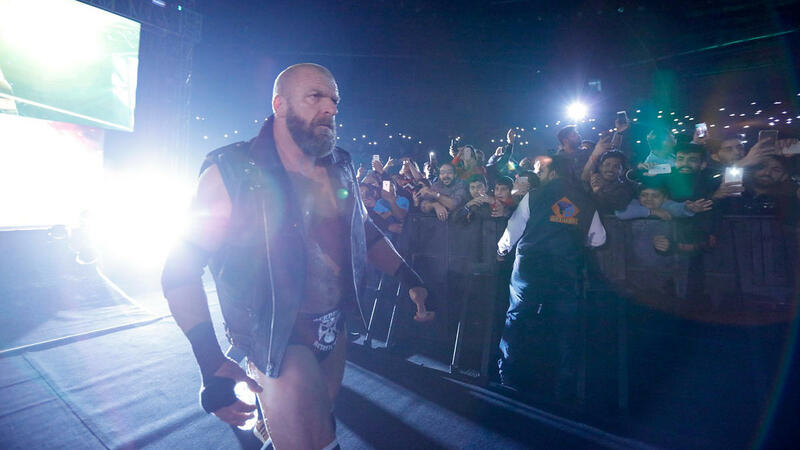 Triple H was interviewed by CBS Sports to hype the NXT debut and the evolution of the brand. Although CBS confirmed that this will be a one-off show to promote the Holiday Week, which also includes Raw, SmackDown Live, and Tribute to the Troops, the maturity of NXT since being a stand-alone brand in 2012 has been nothing short of impressive. Triple H discussed whether NXT will be a third brand apart from Raw or SmackDown Live. He answered that, at this point, he still does not know, but he is thankful of the opportunity that USA came to them and offered a primetime slot on a Wednesday night. He did admit, though, that NXT will “always be some kind of developmental” due to the talent coming in and having an opportunity to compete for a brand after graduating from the WWE Performance Center. Triple H addressed that fact that not everyone in NXT is fit for the main roster, and not every former NXT roster member had their best work while competing for the brand. One person he spoke of in particular was Elias. While in NXT, his win-loss record was not impressive enough to make him a top name, or even a credible name at times. However, now being on Raw, he is one of the most promising NXT call-ups since Triple H started making that transition like a rite of passage. From this revelation, there is no doubt that Triple H wanted to “walk with Elias” from day one.